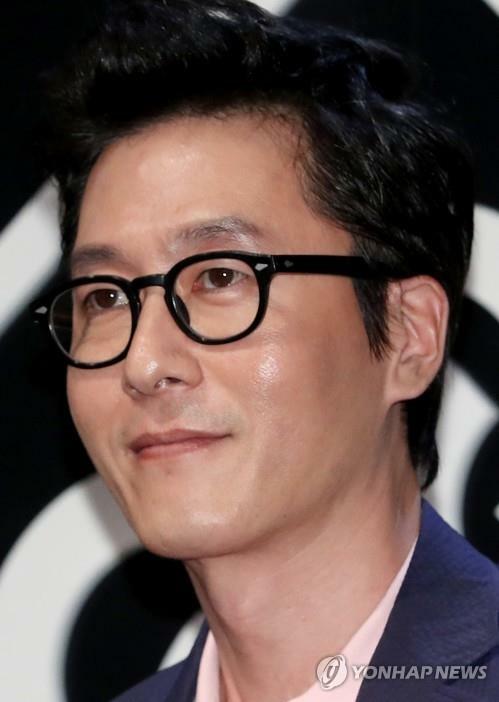 SEOUL, Oct. 31 (Yonhap) — South Korea’s entertainment industry has plunged into deep sorrow and shock over the sudden death of actor Kim Joo-hyuk. The veteran actor, 45, died in a car accident in Samsung-dong, southern Seoul, on Monday when his car rear-ended a sedan twice and suddenly charged forward into an apartment wall before crashing down 2-meter-high stairs. He was seen by the sedan driver grabbing his chest before his Mercedes raced toward the wall, raising the possibility by medical experts that he might have suffered a heart attack. Police said Tuesday his body will be sent to the National Forensic Service to determine the exact cause of the car accident. His management agency Namoo Actors, to which many established actors belong, including Ji Sung, Lee Joon-gi, Yoo Ji-tae, Jeon Hye-bin and Moon Geun-young, says it is in deep sorrow. Last night, an official from the company made a brief statement at Konkuk Hospital that an autopsy will be conducted on his body. Kim is a longtime friend of Kim Jong-do, the talent agency’s CEO, and has been with the company since it was founded in 2004. The company’s website has crashed since last night as the site has been hit by so much traffic from his fans. “We have nothing to say. What can we possibly say in this situation? Everyone is just so heartbroken,” an official from the company said. The production and crew members of the popular variety show “2 Days & 1 Night” issued a statement Monday night to lament over the loss. The late actor was the show’s cast member from December 2013 to the end of 2015. “We are so saddened by the sudden death of our eternal member Kim Joo-hyuk. We express our deepest condolences,” read the statement. The team of “Argon,” an eight-episode drama that became Kim’s last TV series, also was heartbroken and devastated. “I can’t understand the accident. How could this happen? I can’t believe it, “one staff member told Yonhap News Agency.